Our 1896 cosmetics line was born in a particular and fascinating context. I represent the third generation of a family of pharmacists who had its headquarters at Mazzolini Giuseppucci di Fabriano, the ancient pharmacy born in 1896 from the will of Ermogaste Mazzolini. This historic pharmacy is our flagship, a unique establishment in the realm of antique apothecaries; it is here, in these enchanted historic settings, that my passion for pharmaceutics was brought to life. 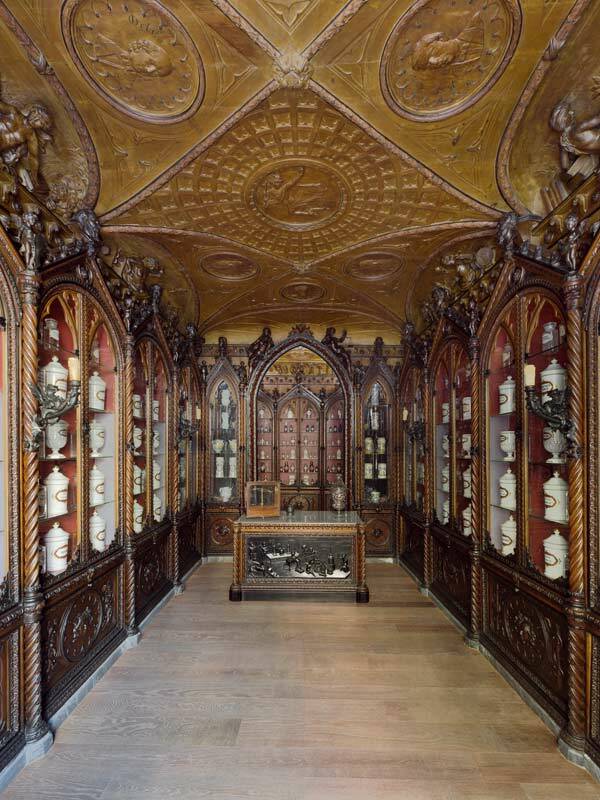 The sculptures and paintings in the pharmacy magnify the values of science, the pharmacist's role and the importance of the galenic formulation (i.e. the discipline consisting in preparing medicines in order to optimise their absorption). In this environment, my grandfather and my father worked with constant zeal at galenic formulations, until we decided to move part of our business and setup more advanced laboratories. Our ancient pharmacy, however, was fully restored and became a stunning museum. It now showcases, amongst other products, our 1896 cosmetics line, conceived to combine botanical knowledge, pharmaceutics and modern research, together with sustainability and superior craftsmanship. By using natural cosmetics, we can care for our bodies safely and effectively, without damaging the environment. This is something all of us, at 1896, consider crucial: even those individuals who are not eco-fanatics can understand that pollution has negative effects on everything, including our skin. However, common belief seems to denote a disconnection between ecology and technical innovation: for some reason the thought of natural cosmetics often triggers a mental association with “grandma's remedies”. Because of this, it is hard to abandon chemical cosmetics; this resistance results in more pollution to both our bodies and the environment. In our own way, we want to demonstrate that there is an alternative, an alternative that puts technology at service of the Earth. These thoughts inspired our idea of natural and environmentally friendly cosmetics, created in our laboratories through scientific research and craftsmanship. All these components make our products stand out from the cosmetics market, as the active ingredients used in average cosmetics either come from chemical synthesis or get extracted individually. In our case, we extract all of the active principles as a whole (Phytocomplex), since its beneficial action is proven to be superior to that of individually extracted principles. Our cosmetics are NOT TESTED ON ANIMALS; this applies to both the individual components and the final product. These values and beliefs guide the way we work at 1896 Cosmetics, we want to share them with you.